World Congress recently announced two upcoming events focused on Telemedicine and the future of healthcare. The 2nd Annual Telemedicine Summit on December 2-3, 2013 will take place in Anaheim, CA, while the 2014 Telehealth Summit will take place January 30-31, 2014 in Orlando, FL. The December Summit will present strategies on transforming telemedicine into an integrated and self-sustaining part of healthcare. Speaking organizations include the California Telehealth Resource Center, Humana, UC Davis Children’s Hospital and Blue Shield of California. The January Summit, co-located with the Hospital Readmissions Summit, will focus on strengthening the continuum of care by increasing access and engagement to improve care management. Speaking organizations include Cleveland Clinic, the U.S Department of Veteran’s Affairs, Humana, Geisinger Health Plan, and Massachusetts General Hospital. 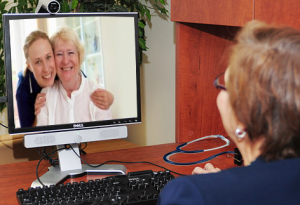 For more information about both Summits, go to www.TelehealthSummit.com. Visit www.trinityvideo.net for details on Trinity’s Mobile Telemedicine Station. Or, contact us today at 1-800-261-9008 to schedule a demonstration at your location or at our Louisville, Kentucky or Sterling, Virginia offices.